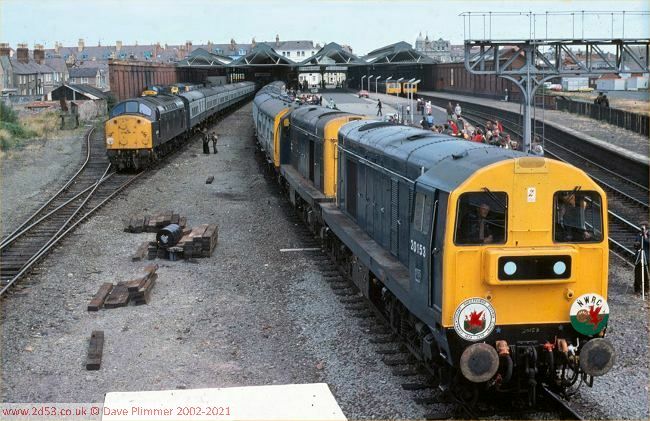 This picture does appear on another page, but no apologies for including it here, as it provides a great opportunity to see the whole of the station. A full house at Llandudno on the 22nd of July 1979. From right to left, dmus occupy platforms 1 and 2, 20153 and 20165 head the NWRC Conwy Valley Centenary special in platform 3, 40106 is on another excursion in platform 4, and 40186, 24081 and a refurbished dmu are on exhibition duty in platform 5. Taken from the signal box steps. 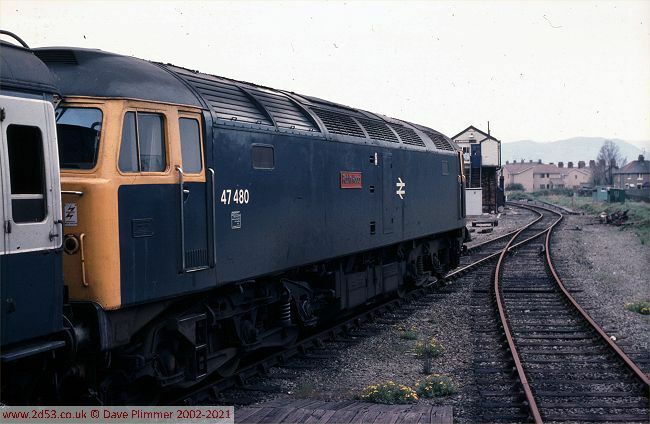 24081 returns light engine to Llandudno Junction on the 2nd August 1979 having been sent specially to shunt-release the '40' on TWThO service from Birmingham (just visible in the background). 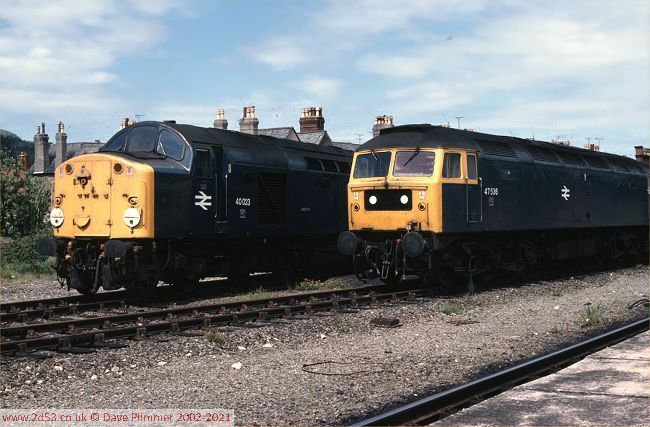 Two other class 40s sit in the carriage sidings. At this time 24081 was the last surviving '24' in BR service and had been 'tarted up' for the Conwy Valley centenary celebrations a couple of weeks earlier, as seen above. Compare this shot with the one taken 18 months earlier (seen on the first Llandudno page) and note that building is already well under way on the site of the carriage sidings. 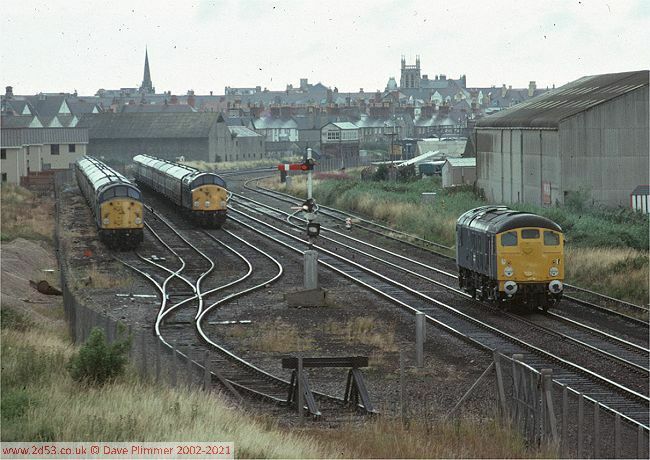 May Day Bank Holiday Monday 1980, and 47480 "Robin Hood" is the the erstwhile Platform 4 at Llandudno at the head of an unidentified excursion. Beyond, the track leads to the carriage sidings, and 47480 will have to reverse there, before propelling its train into platforms 1,2 or 3 to pick up its passengers. The track to the right leads to the old platform 5, which has obviously not seen any use yet this year.